So she dragged them all along with their toungs stuck to her wings? 2. She really is the strongest! So... Remilia has a shadow? A progressive jpeg, don't see those too often. I love how nonchalant Cirno is. Oh my,now then I realise it. Cirno likes to sit next to the river and watch the sunset as she ponders deep thoughts. 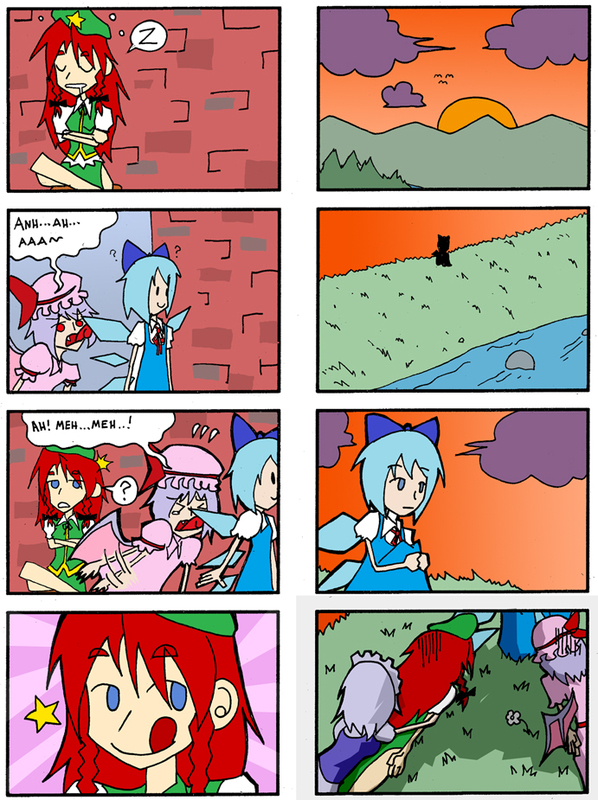 Cirno REALY failed her perception check here. This happens all the time. She doesn't care anymore. Keep reading from the wrong direction.